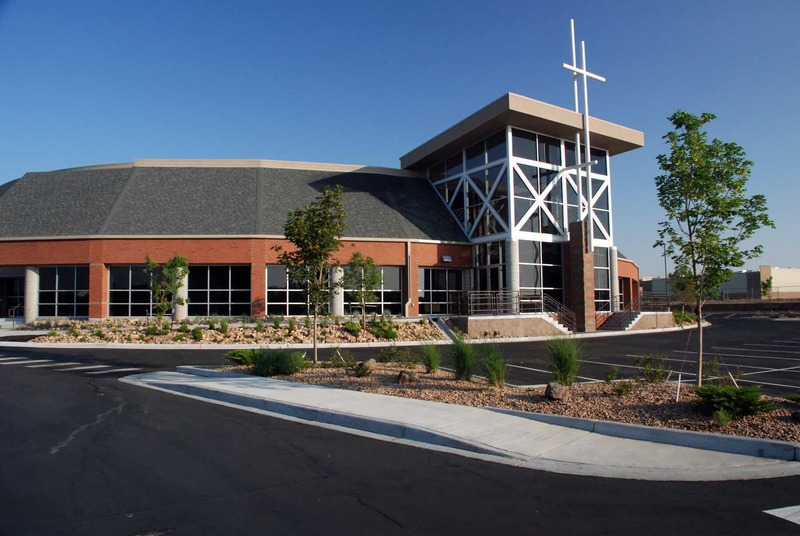 The largest church in Greeley has experienced great growth. We added a new youth area, classrooms and a covered drop off area a few years ago. 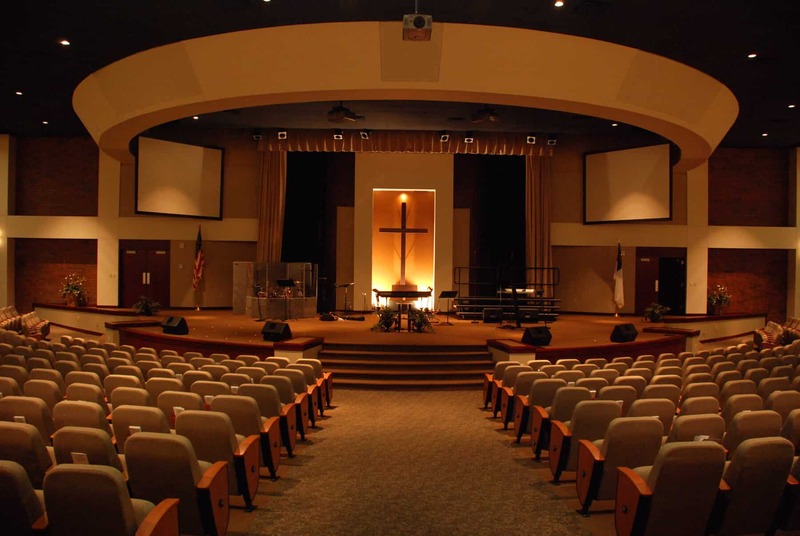 At that time the church recognized their desire to creatively enlarge their sanctuary, realign the existing seating and to change the look of the street presence of their concrete ribbed building, called “the whale” by locals. Lee Architects accomplished all of this and more in the renovations. The worship center seating grew from 650 to 1,000. 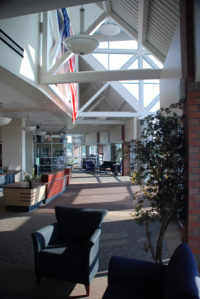 In the new sweeping welcome center the 7,000 sq ft space reframes the entry into the worhsip center. It contains a new coffee shop, bookstore and gathering areas. 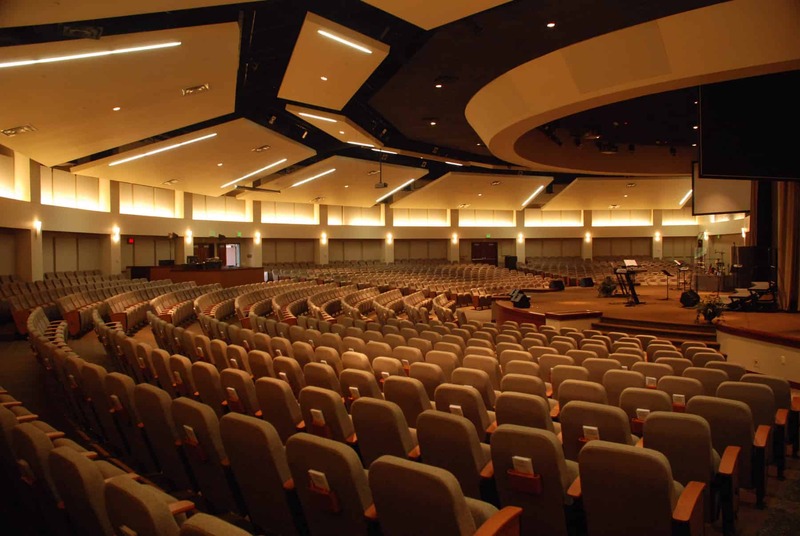 Take a look at the transforming photos of the exterior and worship center. 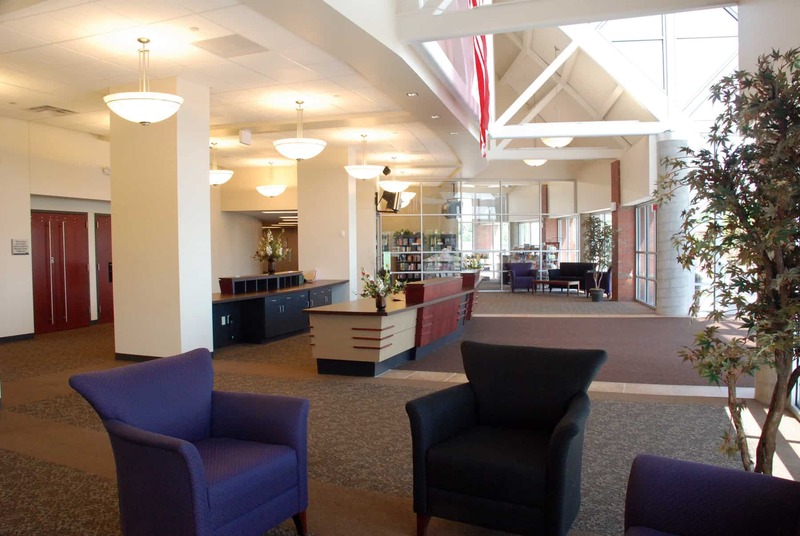 This project received the Excellence in Community Design Award from the City of Greeley. Our new and renovated facilities sparkle all the more because of your willingness to give of your time and talent in selfless service to the Lord.